New Kayaks? Admit it, your attention was definitely grabbed just by the idea of new kayaks. 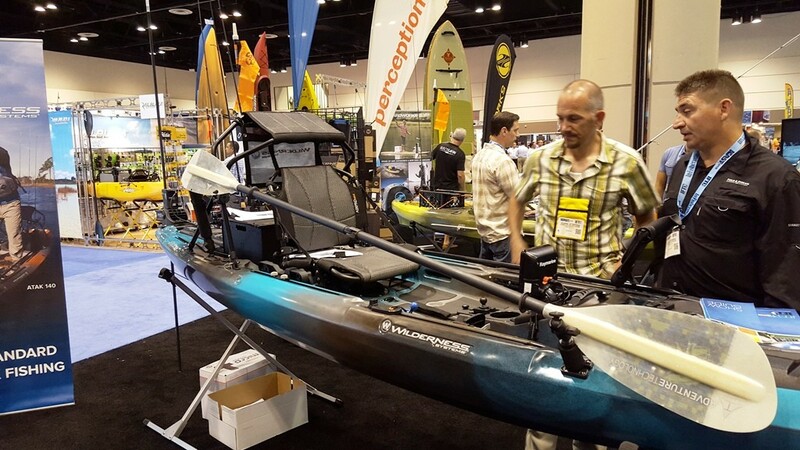 ICAST 2015 was definitely the place to check out all the new kayaks coming out in the next year. We kayak anglers always get excited about new kayaks and with good reason, we love new toys to play with. 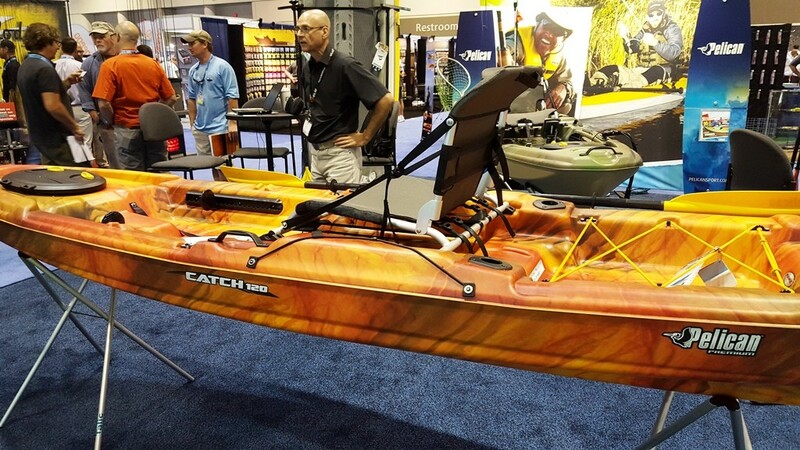 In our coverage of ICAST 2015, we’ll give you a peek at all the new kayaks!If you’re anything like me, you hear mention of new kayaks, and you immediately pop up in excitement. Let’s be honest here, we’re no different than a dog seeing a squirrel, we lose all train of thought once we hear the phrase, “new kayaks”. The belle of the ball was easily with Eddyline Kayaks as they took home the trophy for Best Boat of ICAST, as well as the coveted Best of Show Award. The C135 Stratofisher from Eddyline Kayaks is definitely a great looking kayak, then add in some sweet accessories from YakAttack and you’ve definitely got a winner. Wilderness Systems unveiled their new updated motorized version of the ATAK kayak, Native Watercraft dropped the mic with their new FX Propel (along with an eye grabbing new color), Old Town brought out the Loon Angler which is definitely a great looking Sit Inside kayak, NuCanoe showed off the impressive Pursuit, Jackson Kayak introduced the Skipper, and Pelican International definitely turned a few heads with their new Catch 120 kayak. 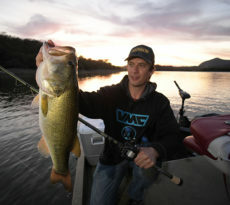 Kayak anglers rejoiced with a myriad of new choices and some amazing looking new kayaks. The Stratofisher YakAttack edition comes fully loaded with a BlackPak in grey, a Visicarbon Pro, Zooka Tube rod holder, paddle clips, and a variety of YakAttack Gear Tracs. The C-135 also features he luxuious Cloud 10 Seating System, which offers 4 seating positions. 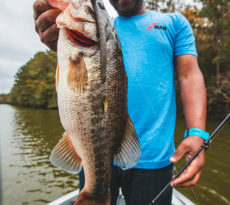 The ATAK 140 is already an amazing fishing platform, but Wilderness Systems have taken it a step forward with the addition of the new Torqeedo, giving anglers the ability to go farther and faster. The new motor drive will be available in late 2015, and will be compatible with the ATAK, Thresher, and Tarpon 130X. Native Watercraft reached out to the masses and asked what they wanted to see in new kayaks, and the result is the FX Propel kayak. 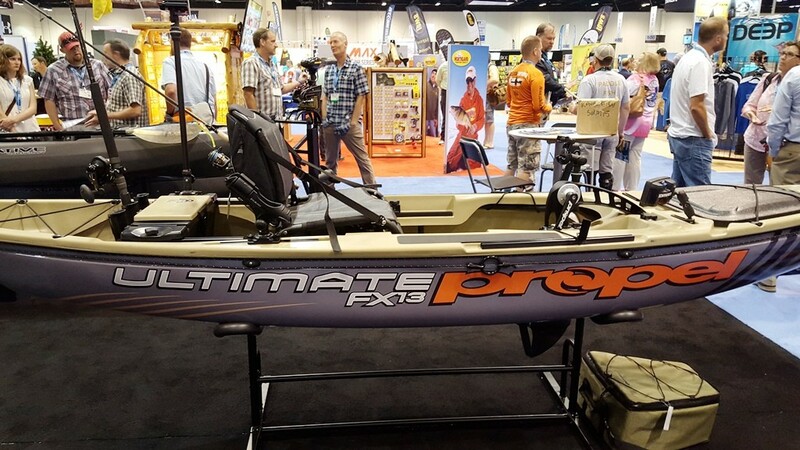 Loaded and rigged for some serious fishing, the FX Propel is a hybrid times 10! The FX Propel is loaded with features including paddle storage in the gunnels, a high seat, extra gear tracks, and a storage box with rod holders. The Loon Angler features a sleek hull design, offers extra width and volume for stability. Add in the new ACS2 seat, and we’re talking major comfort. The Loon Angler is designed to be the most comfortable sit-inside angling kayak on the water. The Loon Angler includes flush mount rod holders, anchor system, and includes a new work-deck space. 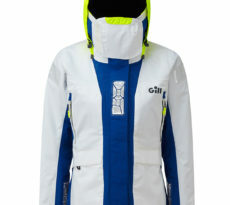 The Loon Angler will be available in the 10’6″ and 12’6″ models and will be available in camo or urban camo patterns. 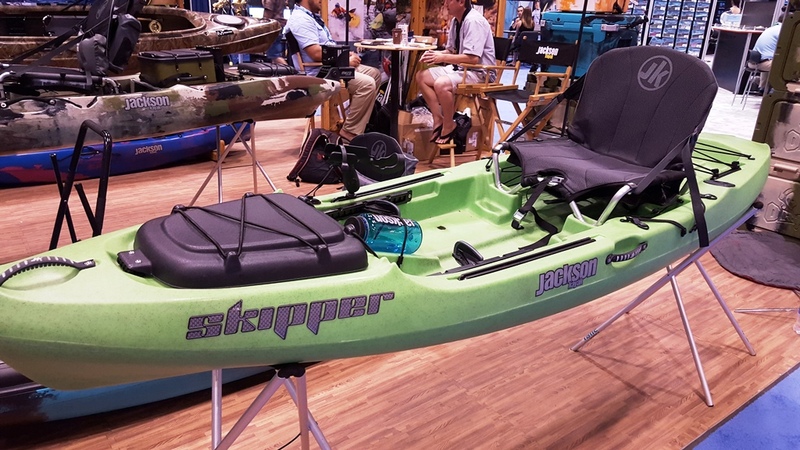 Jackson Kayak introduced the Skipper, a kayak designed with the kids in mind. This kayak is definitely a must have for your little junior angler for those family style fishing trips. Equipped with a comfortable chair, ample room for storage, and gear tracks, the Skipper will have your little angler feeling proud. Pelican Sport has definitely upped their game with the Catch 120 kayak. We think it’s safe to say that this isn’t your daddy’s Pelican yak! The Catch 120 features an open deck, tons of rigging ability, a new seat, and screams take me fishing. The Catch 120 has adjustable footrests, Ergocast dual position seating system, flush mount rod holders, paddle and rod tie downs, and a stand assist strap. The Catch 120 will be available in Spring 2016.